It's hard to say where the epicentre of literary London is, but Stephen Page's airy first floor office in the heart of Bloomsbury has as good a claim as anywhere. At 53, Page has been at Faber since 2001, and Faber authors hold the Man Booker (Anna Burns) and the Nobel prizes (Kazuo Ishiguro). The room has a desk, two sofas, a table groaning with books, and portraits of Geoffrey Faber and TS Eliot, the founding spirits of Faber, keeping a beady eye on the current generation. Faber celebrates its 90th birthday this year on something of a high, but Page's years at the helm have not followed a seamlessly smooth trajectory of success. Before last year's Booker success with Anna Burn's Milkman the top literary prize had eluded Faber for 15 years - the longest barren run in the house's history - and turnover has hovered around the £20m mark for some time. Page agrees the stars have aligned for now - "By any standards in the company's 90-year history this has been exceptional, but particularly the last 12 to 18 months have gone well, with two Booker shortlistings, a win, the Nobel, Costa novel of the year, and three of the four Costa shortlisted poets" - but the real question is, how? "Four or five years ago we had a tough old year, a bad period, that came at the end of a tough period in publishing, and it prompted us to re-examine some business issues, such as overhead, but it also made us pause and ask the question about the central confidence of our editorial effort. "We therefore brought in new leadership (Mitzi Angel) - and Charlotte Robertson joined us as sales director just before that, when Will Atkinson left to run Atlantic - so we had a different sort of person leading on the sales side, someone who was very fresh, who had been an agent for three or four years." Certainly, something had to be done, as the company had hit a loss-making period. Sales were down to £15.96m for the year to March 2015, with a loss of £810,000; the year before had seen a tiny loss on turnover of £16.26m. Five years before that, the company had made a profit of £1.0m on a turnover of £15.8m. Page recalls the background to those two years of poor results. The key elements were "an endless narrowing of the retail channel", the emergence of "a very mass market, commodified idea about books", and "digital disruption in the middle of which was a sort of klaxon, shouting at publishing: 'You're legacy, you're like the record business, you're finished.'" Easy now to forget how persistent were the digital evangelists, convinced the book trade would go the way of the music business. It was a "gruelling patch", says Page, and there was "a realisation that there was a slightly different ecology around publishing, reading, writing, selling books, and it was one that we could map to successfully but we'd have to be performing at a different level to do that." Part of that was "bringing our overhead down a bit, letting a few people go". (Faber restructured in the spring of 2015, when eight jobs went.) "When you look across publishing in the preceding five years, pretty much everybody had done what we then had to do, and we had managed to resist it until then. "We were on the shores of a new era, and we weren't in quite the right shape, and perhaps we needed to renew and refresh in editorial terms, but also bring on a different generation in marketing, and to start to see the world optimistically and positively and not be in this attritional battle with a declining high street market and a growing ebook market." The key decisions were "all about doubling down on the core of what we are: a world-class literary publishing house with 90 years of history and amazing backlist, a taste that sets culture as much as mirrors and reflects it - and that has an ambition, as modernism did, to move the dial of culture, to be a serious identity in culture, beyond simply a business that turns up every year and makes money for its shareholders through publishing literary books". Although "we are a publishing generation gifted with a brand new format [digital publishing]", Faber's evolution has not all been about digital by any means. Faber "was doing 15% in digital six years ago and is not doing more than that now", says Page. "We had a reputation for being digital evangelists," he recalls, partly on the strength of The Waste Land app. "We invested heavily in The Waste Land app, and we were rewarded for that" - but he agrees that apps have proved a cul-de-sac for literary publishing. "We created a couple of absolutely sensationally interesting products that people liked and used, but it wasn't a Paul Hamlyn moment, it wasn't suddenly that we had cracked a formula, it was more of a novelty. The attention The Waste Land app attracted, compared to its sales, we can't ever imagine getting that sort of coverage again. It was a wonderful product but you couldn't scale it." So digital has become a valuable additional sales channel, but not quite the game-changer it was once presented as. "If 10-20% of our business is being done through ebook, that's brand new channels to readers. There is some overlap obviously, but we regard it as a gift to us as a publishing generation to have a functioning format called the ebook." In digital, it is social media that Page is really excited about. "The even more significant revolution is social media as a marketing tool - that is the central story of the digital revolution for publishers." 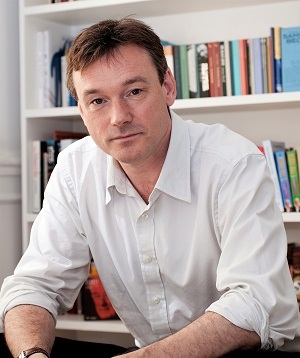 Page estimates the size of the literary market in the UK as somewhere between 250,000 and 1 million people, beyond which lies a wider market of general readers. Social media is a way to identify, target and influence that market, to break a book out of a small literary sale of a few thousand to a far wider market, "a tool that is now a very, very powerful way to explode a conversation around something". What does that social media effort actually look like? "One version of it is 'book love', physical beauty taken out of the analogue world and put into the digital world. So moving pictures are a central part, little animations of opening a book, closing it, showing you the full 360-degree view of a beautifully made book." It is a discipline a little like niche TV advertising. "There are real skills to this, with the voice you use, the trustworthy nature of what you do, so you have to have people who are extremely well attuned to the writer, the writing, the book, the brand of Faber, the conversation we're having and how we're going to have it, so it's highly skilled. Three or four years ago we were learning these skills, now we're really good at it." Twitter is also vital, but "I don't lose sleep over what our twitter feed looks like. It excites me that Faber can have a really good serious conversation with its core readers - that is increasingly true and we can do it affordably and we can do it right now." Sally Rooney, one of the key authors in Faber's renaissance, has 150,000 Twitter followers, for example. By last year turnover was up to £18.47m, with profits of £1.64m. Faber may be out of the woods, but where next? Page takes heart from several developments. "One of the good things about London publishing right now, for literary writers, is there is a lot of confidence about publishing serious and intelligent books, whether it's fiction or non-fiction." A second, perhaps related, bonus is the revival of Waterstones under the leadership of James Daunt, following what Page describes as the "hard era" during HMV's ownership of the bookselling giant. "James has made it understandable what it is to be a successful bookseller in the modern environment and that is to be lean and tight and efficient - as at the same time, make bold and strong choices and lead the market in some ways, and not to try to compete in places where you don't think you can lead. "That has walked very much in the direction of quality publishing for the general reader, and that is Faber's business. It's been a harder ride, I would suggest, for people who are more engaged in the mass market." Faber itself could have had a mass market writer on its hands right now in the shape of Gail Honeyman, whose debut novel Eleanor Oliphant Is Completely Fine was the biggest selling book in the UK last year. Honeyman is a graduate of Faber's writing school, the Faber Academy, but is published by HarperCollins. So is the Academy just finding great writers for other publishers - why not ask Academy graduates for rights on the first book? For Page, the Academy is a more nuanced proposition. "It's a good business [now with three full-time staff]. It happens here, in the building, there are classrooms here, it's another way to be in the company of the story of writing and reading. "One of the disappointments in some ways about what happened around indie authors and self-publishing is that it became presented in some way as oppositional to publishing, and publishers presented it in some ways as oppositional to publishing. They were quite dismissive about it, and they used a language about it that I don't think was particularly thoughtful. "In the end there are many forms of publishing; John Murray began as a bookseller. There's a certain humility to understanding our position as being only required if we are in some way valuable in this relationship between what is written and what is read, creating value for writers; and the Academy is another experience of that for us, an experience of being close up to the truth of looking at the world of publishing and asking: 'How do I become a successful writer?'" Beyond the success or failure of a single book, Page has wider concerns on his plate. One, of course, is Brexit. For the 90th birthday year, Toby Faber has written a history of the publisher that comes out this spring, covering, among other things, the trials of publishing in the 1940s. "Six years at war, with very little paper, it was a chapter that helped me sit back and think. We do have to navigate whatever is yet to come and perhaps the challenge of Brexit is still the uncertainty. Tell me what we've got to manage, and we'll cope." Specific challenges for publishing from Brexit include maintaining the existing copyright and anti-piracy regime; producing books in a world with more borders; currency fluctuations; and the status of EU nationals on Faber's staff. Beyond Brexit there are other concerns - and opportunities. Page identifies more aspects of the digital revolution: "Data, discoverability, search and the management of the dynamic pricing environment, particularly in ebook, those are things that have begun but they are going to evolve at a speedier rate… Our capacity to create demand in an environment with voice-driven shopping prior to someone saying, 'Hey Alexa, what should I do now?'" Then there is the challenge of converting a generation of digitally-obsessed people in their 20s into the serious readers of the future. "I think there is a lot we can do around that, in terms of getting broader in our lobbying around education, and the library service." But we shouldn't get too gloomy. "I read a statistic 30 years ago about the reading habits of the 16 to 25 year olds, that 1 in 4 women read, and 1 in 5 men. It's always been true that the proportion of people reading books heavily in their younger lives, post childhood and education, is pretty small; so we have a lot to do to persuade people that we are a rich and nourishing and exciting and interesting and broadcastable part of their lives, by contrast with some of these other things." Another aspect of the digital revolution has been the slow but steady rise of audio, driven by the rise of the smart phone and now comprising 3% to 5% of the market. "The data suggests it is also expanding the market for writers, in that listening as a form of reading is the preferred route to reading for some people." Faber is looking at expanding its audio publishing, but not to the extent of putting a studio in the building. Page contextualises his approach with reference to digital arm Faber Factory. "Faber Factory was created in answer to the question about ebooks - what would Allen Lane do? That was the question I put to my team. Of course, you couldn't license ebooks off a lot of other publishers and create an imprint, so we created a distribution and digitisation and marketing platform, taking all the difficult stuff out. It remains a really important platform with over 100 publishers using it. "With audio, it's tantalising, one feels there is still a lot of audio publishing not being done because of the costs of creating a reading and the comparatively small volumes that can come with that, and a subscription model which has worked for Audible doesn't perhaps support all the economics of creating readings. I feel like the audio market is ripe for continued expansion, but I'd like there to be an acknowledgement that there are real basic fixed ground costs that are very hard to get around. "I start to wonder what it is to think audio first - what will that sort of publishing look like? What we can do with audio has barely begun." For years Faber has bumped up against a turnover ceiling of about £20m, constrained by the limited size of the domestic literary market. Could cracking America provide more scale? 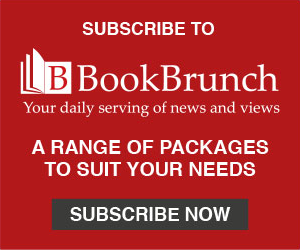 "Our recognition in the US is not strong outside a literary niche (but then again that is what we are), so I think we are pleased with the beginnings we have made of a model of publishing into the US from London; with great partners in America and the commitment of some resource on the ground, largely around communications, but an editorial drive out of London." There are no plans for commissioning editors in New York. "America is an extraordinarily expert, demanding marketplace, and extremely expensive." With a famous publishing brand, and in a globalised, digital world where English is the dominant world language and world rights are becoming a publishing norm, international expansion generally must be a possibility. "Everyone is having their version of thinking global. It's less expensive to take your brand around the world than it once was - that therefore must create opportunity. How much opportunity, we'll find out, because I still think we are in a period of exploration and discovery." There are about 400 million native English speakers, plus a further billion with English as a second language, so the long-term potential is vast. But these observations may miscast Faber as a business interested in growth for growth's sake. It needs to make a profit to carry on doing what it is doing, which isn't primarily about making a profit. "It's about being the very best version of Faber we can be", and "absolutely not" about getting bigger for the sake of it. Wider objectives are in play. "Top of the list is we want to have had an impact on the literary culture we are part of, we want to have partnered with the best writers of the age we can persuade to publish with us, and for that to aggregate to something more than simply being a good literary publishing house - we want to be one of the greatest literary publishers in the world." As Page points out, most other literary publishers are imprints within bigger houses. Money remains essential, though. "You have got to know what it is that is commercially required, otherwise you get into confidence problems, so there is nothing better than publishing excellently and commercially successfully at the same time - that is the sweet spot. This financial year ends at the end of March, and the first nine months look really encouraging." A particular bright spot has been the performance of Anna Burns' Milkman. When the novel was shortlisted for the Booker, Faber immediately brought it out in B format, meaning that when it won the prize the paperback was already rolling. Page estimates sales at over a quarter of a million in B format, and another 100,000 in ebook, trade paperback and hardback. "It seems old thinking to expect the Man Booker prize winner to be in hardback up to Christmas." At the risk of stating the obvious, Faber's revival has been about publishing the right books. "It all just starts with giving editors the freedom. We did definitely say, 'Let's really listen hard to the editorial impulse, and let's give it confidence and freedom.' I speak as an ex-sales person, I'm a sales, marketing, brand, reading kind of person, I've never been an editor, but the history of publishing is written through the editors and their relationships to writers and to the books that they back. "In the end, the editors are making good choices through a deep engagement with notions of taste, and with the ability to see the book within the book, the book that you can make from the book through an editorial process, that remains the fire at the centre, that is the candle that burns. And we have been rewarded for doubling down on that." One final question. What is this year's big book, if he had to pick one? Lanny by Max Porter, is the answer, "a magnificently brilliant book", and he makes sure I leave with a proof on the way out.